There are six phases of any flight. Aeronautical charts are prepared for each phase of flight from gate to gate. 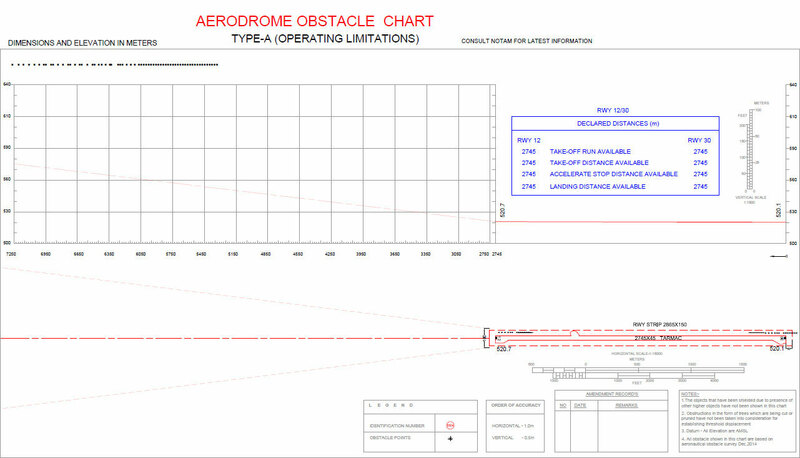 These charts are used for portrayal of terrain and obstacles around aerodromes or heliports. Charts are prepared as a result of analysis of aeronautical surveyed data. Every surveyed point travels from survey, to database, to analysis, to chart. This data flow from surveying team (from ground), till it is depicted in charts, shall be intact and there shall not be any possibility for data malfunctioning. Integrity level of each survey point is a must and that defines the quality of data handling methods. Once data is stored in the proper database, the automated system develops various charts. These data sets are as per the ICAO norms and requirements.